Stone tools found with a 5,300-year-old frozen mummy from Northern Italy reveal how alpine Copper Age communities lived, according to a study published June 20, 2018 in the open-access journal PLOS ONE by Ursula Wierer from the Soprintendenza Archeologia, Florence, Italy, and colleagues. The Tyrolean Iceman is a mummified body of a 45-year-old man originally discovered with his clothes and personal belongings in a glacier of the Alps mountains, in the South Tyrol region, Italy. Previous research showed that the Iceman lived during the Copper Age, between 3370-3100 BC, and was probably killed by an arrow. In this study, the researchers analyzed the Iceman's chert tools to learn more about his life and the events that led to his tragic death. The team used high-power microscopes and computed tomography to examine the chert tools in microscopic detail, including a dagger, borer, flake, antler retoucher, and arrowheads. 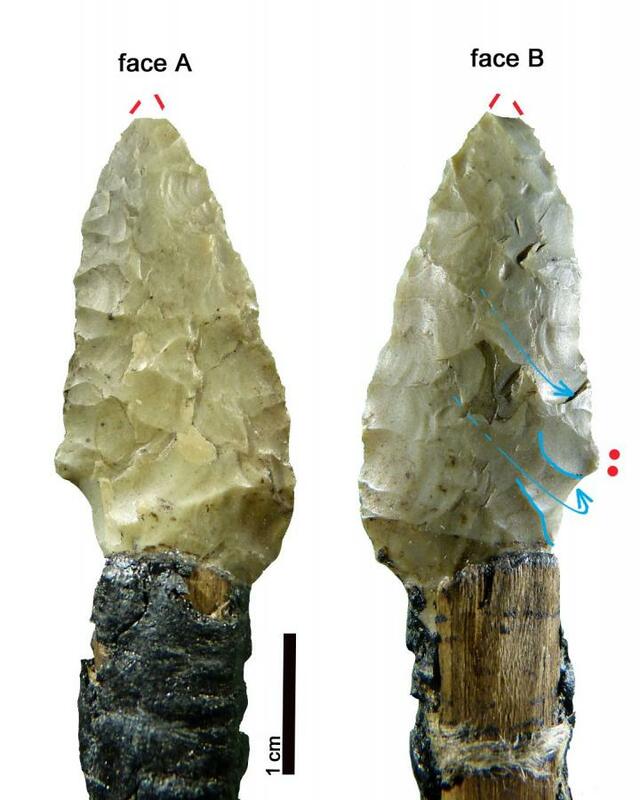 The structure of the tools' chert reveals that the stone was collected from several different outcrops in what is now the Trentino region (Italy), about 70km away from where the Iceman was thought to live. Comparing this ancient toolkit with other Copper Age artefacts revealed stylistic influences from distant alpine cultures. By carefully analyzing the wear traces of the Iceman's chert tools, the authors concluded he was right-handed and probably had recently resharpened and reshaped some of his equipment. These findings shed light into the Iceman's personal history and support previous evidence suggesting that alpine Copper Age communities maintained long-distance cultural contacts and were well provisioned with chert.